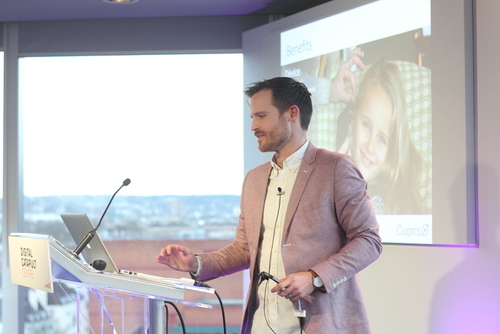 For the culmination of the Digital Catapult Digital Health Pit Stop, Cupris was amongst 11 companies presenting their innovations at the demo day on 12th December 2014. Mike Pallett gave a demo of the Cupris IPhone otoscope and for the first time, did a live on-stage selfie of his eardrum using the device. Voted for by the audience, Cupris was presented with the People’s Choice Award by Eileen Burbidge from Passion Capital.